Brew the Tea for 5 minutes. Add Bees Honey into the glass and pour in the brewed tea. 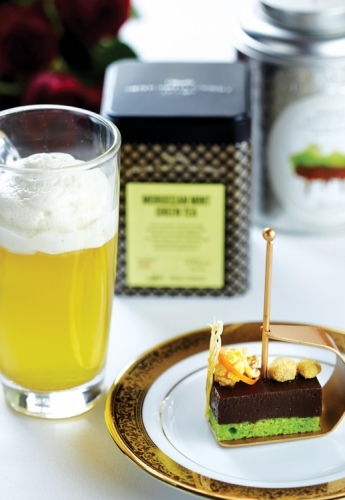 Add a layer of Elder Flower and Apple Tea Foam and garnish with a mint sprig and cocoa powder.